Facebook blocks upstart rival Tsu, and even retroactively removes posts. Should we be worried? 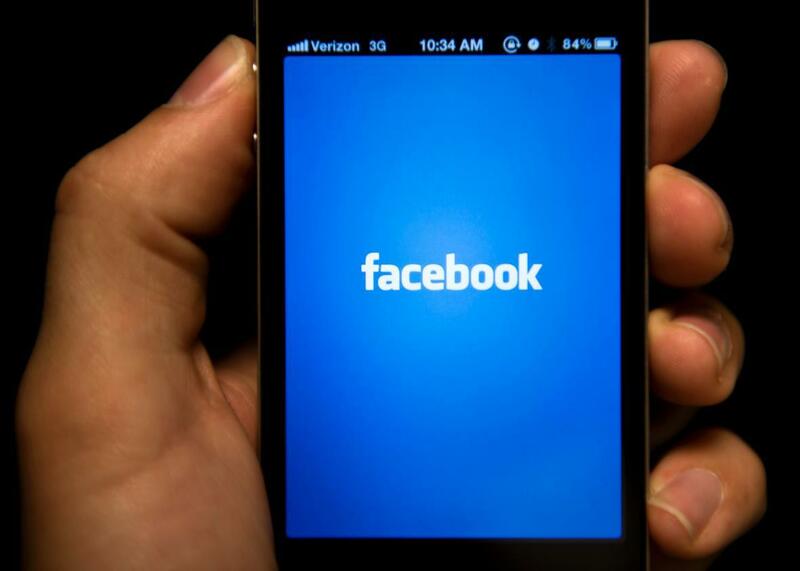 Facebook Is Blocking an Upstart Social Network Should We Be Worried? Tsu is a new social network that promises to pay its users for posting content to its site. But if want to share your Tsu profile with your Facebook friends, too bad. Facebook is blocking all mentions of “Tsu.co,” the company’s web address. You can’t share a post to a Facebook feed, leave an Instagram comment or send a Facebook Messenger message containing the URL. Tsu’s CEO claims Facebook went so far as to retroactively remove any mention of the site from its archives. You can’t even share news stories about Tsu, something Xeni Jardin, who wrote about the situation for Boing Boing, discovered Friday when she couldn’t share the story to her own Facebook feed. On Monday, Tech News Today covered Facebook’s ban on all things Tsu.co, and just like the Boing Boing story, readers soon found themselves unable to share it on Facebook. On first glance it looks like a conspiracy to keep an upstart social network down. But the situation is far more complicated. Tsu promises to pay users a percentage of its advertising revenue. But it doesn’t base those payouts merely on the number of times someone views your content. It also offers you a cut of the revenue generated by content posted by people you refer to the site. CEO Sebastian Sobczak says the idea is to pay users for the content they post and reward them for helping build the network. But this model also means users are incentivized to share links to the site not just to increase page views, but to attract new users. That sounds a lot like multi-level marketing, and it’s not hard to imagine people taking advantage of the system. It’s not surprising then that Facebook might flag the site for spam, especially if the number of people posting spam far outnumbered the legitimate posts. As of Tuesday evening we still couldn’t share the Boing Boing and Tech News Today stories on Facebook without getting an error, but several other stories about Facebook blocking links to Tsu were allowed, so it’s clear that Facebook isn’t blocking all news coverage of the site. As of Wednesday morning, it was possible to share the two stories on Facebook again. Facebook is within its rights to prevent spam, but its scorched-earth policy of retroactively removing posts seems overkill. Either way, the company’s decision underscores the power Facebook, which is for many people synonymous with the Internet, has over what users can or can’t see. Run afoul of Facebook’s spam algorithms, even accidentally, and you can be practically disappeared from the web. She said she wasn’t aware of errors when sharing Boing Boing andTech News Daily stories, but said someone probably flagged those links as spam separately from Tsu and the engineering team will look into it. Sobczak argues that the analytics dashboard Facebook offers to developers suggested that Tsu had a lower-than-average spam rate compared to other apps. He also doesn’t understand why getting flagged for spam would prompt the removal of old posts containing links to Tsu. And he argues that Tsu doesn’t actively incentivize users to post to Facebook, because Tsu users are paid only if someone visits their Tsu page. They aren’t paid simply for posting content to Facebook. In that sense, he argues, the service is similar to sites like YouTube, which offer revenue sharing to content creators. Facebook declined to clarify just how it flagged Tsu for spam; why it blocked all links to Tsu.co instead of simply blocking the app; or why it aruges that Tsu is “incentivizing” sharing but YouTube isn’t. Note, however, that YouTube removed the option to automatically post newly uploaded videos to Facebook in April. But the idea that Facebook feels threatened by Tsu seems unlikely. Facebook allows links from many other competitors, including Twitter, Tumblr, Pinterest, and Ello. It also allows users to post links to social networks that promise to pay users to post, such as Bubblews. And the idea of sharing revenue with users is hardly a revolutionary. The model has been tried as far back as the mid-1990s by companies like the defunct Suite101, but it didn’t stop the rise of sites like Wikipedia, LiveJournal and, eventually, Facebook, which invited users to post content for free. The idea of sharing wealth with users, however great it may be, is probably not keeping Mark Zuckerberg up at night. In all likelihood, Tsu, Boing Boing, and Tech News Today fell victim to an overzealous and under-supervised spam algorithm provoked by pyramid schemers. But the fact Facebook might not have knowingly acted to suppress a rival and unfavorable press coverage is of little comfort. Regardless of its reasons, the fact remains that Facebook did prevent people from sharing content that didn’t violate its terms of service, including news stories and non-spam Tsu links posted manually. Much has been made in recent month’s of Facebook’s increasing control over what we see online. The rise of social movements like Black Lives Matter are heavily dependent on social media, but Facebook’s algorithms didn’t initially surface many posts about the early days of the Ferguson, Missouri, protests last year. Publishers, meanwhile, depend upon Facebook to get their articles seen by their readers, and questions abound about what that’s going to mean for the future of journalism. For example, what will happen if journalists use the company’s Instant Articles program to publish pieces critical of Internet.org or the company’s political lobbying or the Instant Articles program itself? Will publishers that aren’t part of the Instant Articles program still be able to find an audience at all? This power affects more than just journalists and activists. Facebook also is one of the primary platforms for getting word out about new apps, startups, and businesses of all types. To be banned from the platform could mean doom. That’s an even bigger concern in developing countries where Facebook’s Internet.org acts a sort of gatekeeper for the mobile internet. Although some have proposed regulating Google like a public utility, the Federal Communications Commission’s new network neutrality regulations, which require Internet service providers to treat all traffic equally, will have no bearing on the likes of Google and Facebook, even as they amass more power to control what we see and do on the web. Of course, all is not lost. Ferguson became an international news story despite Facebook’s algorithmic apathy, largely in part through competitors like Twitter and Tumblr. Tsu will likely get more attention thanks to this snafu than it would have otherwise. If you can read this article, it means something is going right. But it could all go wrong in a hurry if we’re not vigilant.